Are you a book lover or you just love the lights? 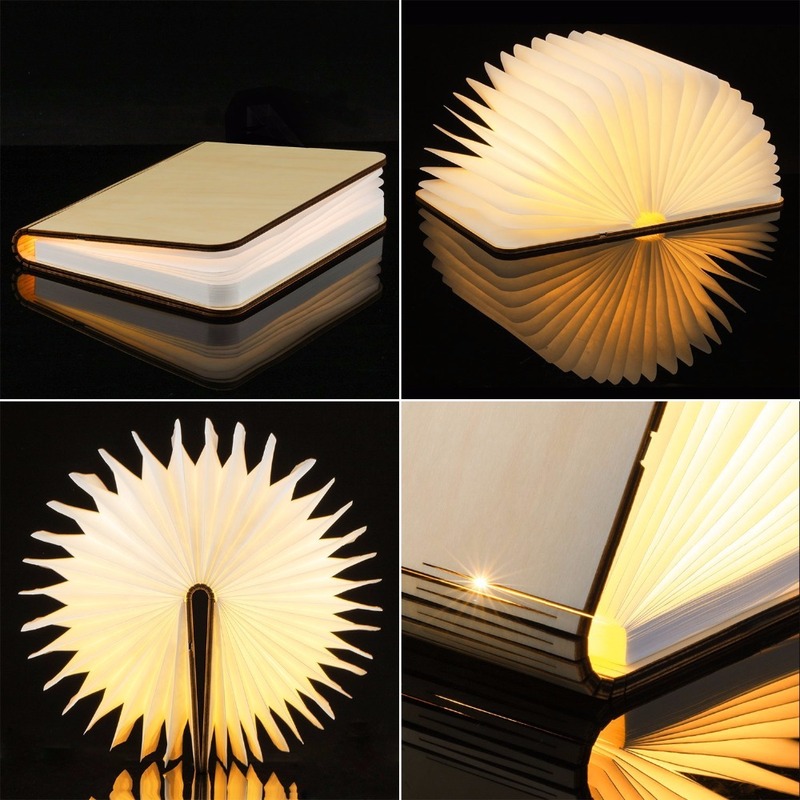 This Foldable Book Lamp is definitely what you need! This compact, multi-functional lamp is made of high-density Dupont Tyvek and tear-resistant paper that makes it durable to damages as a paper book and won't get hot after the 8 hours of continuous use. It is powered by a USB rechargeable battery with a quick charge of 3 hours only which automatically lights the lamp ON when the book is open, and the light goes OFF when closed. Limited stocks only. Click ADD TO CART now! The book-shaped lamp can be displayed in creative ways, anywhere! It can be folded right back on itself and can cast a light around 360 degrees. This innovative lamp can also be used as a desk lamp, floor lamp, ceiling lamp or a unique decoration, and more! You can also attach the lamp to a metal surface if you want to hang it through its magnetic wooden cover. Fun small book 12 cm x 9 cm which lights when one opener. Contains a battery and USB cable is provided. Lighting quite powerful. Super cute. A lot of light. Magnet works well. And Fast delivery. thanks to seller. goods come. all. very nice ....it's perfect at night when in bed...it produce soft light...just enough to lighten up the bedroom...L0ve it..that's why i order 1 m0re..this time the Large size..